The Vosges Front is a mountainous area ranging from the Donon in the north and the Grand Ballon in the south. The old border between the German Empire and France from 1871 to 1918, now in Alsace and the Lorraine, was the only area of the Western Front to see mountain fighting during the Great War With transportation infrastructure and technology, impacts on the landscape and strategic challenges related to climate and geographic constraints, the Vosges mountains were the scene of numerous battlefields. 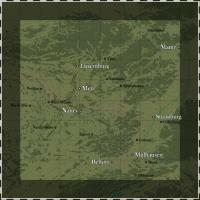 - Existing versions of this map will NOT be overwritten with this version, since the folder is named 'wwiVosges'. - You'll find a new map within FE called 'Vosges, France'. 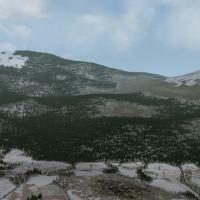 - I've tried to include as much as possible into the terrain folder. This means certain object were made 'static'. - Certain targets are at the very edge of the terrain. This might cause certain issues when flying into the virtual 'wall', e.g. edge of the map. 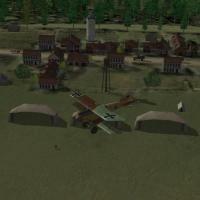 - To minimize the repetitive feeling of flying over tiles I've added a lot of green fields (fields without trees). 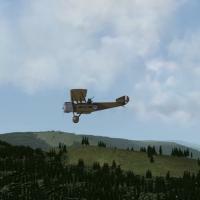 - The included campaign is just a small one with the possibility to fly recon and bombing missions (France/Germany). - Switzerland as neutral country, altough it doesn't work 100% but that's an issue based on the game-engine. Including two Swiss airfields and a border with various gates, flags, bunkers, etc. Q: Is it based on the already existing 'Vogesen' map? A: Yes, but actually only as a basis. Everything was changed/adapted (heightmap, tilemap, targets, etc.). A: Yes as good as it gets, representing late 1916/early 1917 with certain omissions. Q: Are all the named towns and cities correct (placement and naming)? A: Yes as good as it gets. French denominations and German denominations. TK, Jan Tuma, Stephen1918 (for the improved Vogesen version from Gepard), Geezer (great ground objects), ojcar, Gepard (for the initial Vogesen version), Heck, geo, quack74, Edward, A-Team (airplanes not included), Guitarclassic55 (for the wonderful menu) and a lot of others. Of course Gerwin's TFD Tool was instrumental in the making of this terrain. Sorry if I've forgotten someone. Please contact me if you want to be named at this place. Thanks for files, suggestions, testing, bug findings etc. 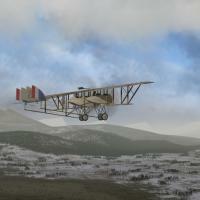 The Vosges terrain is freeware.